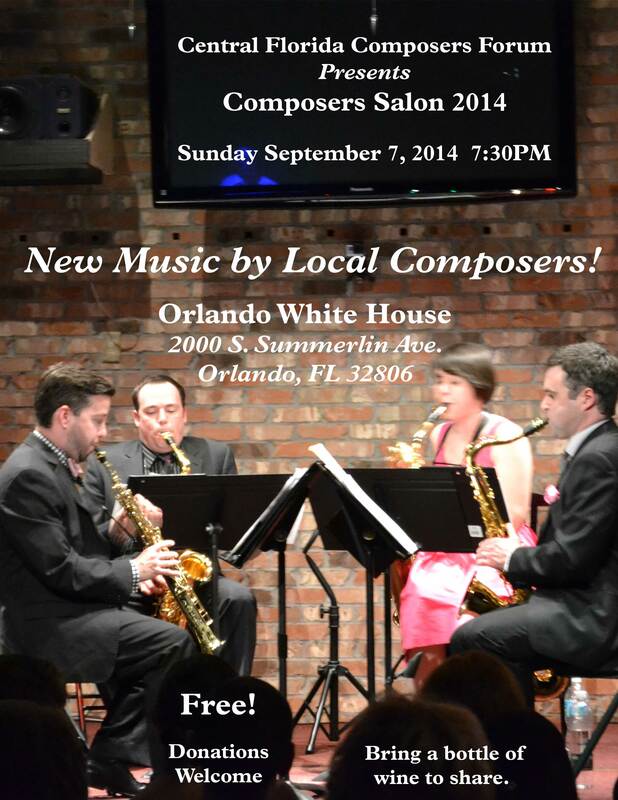 We are proud to invite the Orlando-area community to our annual Composers Salon concert on Sunday, September 7, 7:30pm at the Orlando White House (2000 S Summerlin Ave.). Admission is free, though guests are encouraged to bring a bottle of wine to share. Donations are welcome to support the group. Come join this exciting group of local artists as they present a truly unique concert experience. Salon concerts have long been a tradition in classical music. This performance will include vibrant, modern works from composers working in a diverse array of styles and media. The composers featured in this concert are all local to central Florida, including Larry Adams, Ramy Adly, Eric Brook, John Chapman, Stan Cording, Charles Griffin, David MacDonald, David Nielsen, and Ina Smith.